The K1000 E-Pipe by Kamry is a sturdy mechanical mod that is compact, easy to use and offers great looks! The K1000 E-Pipe has a beautiful anodized finish that is practically smudge-proof. The K1000 has a 510 connector with a ring adapter and works great with all 510 threaded devices - it looks great with the Aspire Nautilus or Aspire Nautilus Mini. To use it with eGo threaded devices like the ARO or T-Dux, you will need an eGo-510 connector. The K1000 E-Pipe works with a single flat top 18350 protected/IMR battery. The mechanical fire button is located at the top of the bowl of the unit and is quite comfortable to use. The K1000 E-Pipe is very simple to operate! Simply unlock the switch cover on top of the bowl by turning it counter-clockwise and insert one flat or button top 18350 battery with the negative pole down. Put the switch cover back on by turning it clockwise. To fill the tank clearomizer, simply unscrew the top cap, tilt and fill with your favorite e-liquid by dripping juice down the side of the clearomizer; screw the top cap back on. Finally, screw onto the E-Pipe and you are ready to vape! To make attaching your chosen 510 device onto the K1000 even easier, we suggest that you take the ring adapter from the 510 connection of the E-pipe and screw it onto your clearomizer/tank first before screwing the entire setup onto the K1000. 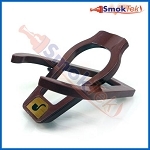 Please note that we do not carry replacement coils for the X6 V2 Clearomizer. The K1000 Long Stem Drip Tip included in this kit is designed with the Kamry X6 V2 Clearomizer in mind. It is longer at the base than most 510 drip tips, and may protrude slightly when inserted in other atomizers. Please note: the Black and Silver K1000 E-pipes come with a safety fuse. We recommend using flat top batteries if using the safety fuse. The K1000 E-Pipe is also available in two beautiful painted wood finishes. Pick up a set of spare batteries and an E-pipe Display Stand for your new mod from the "Make it a Kit! Save $$$" selection menu above! This is a nice little mod. I'm currently using it with an aerotank. The provided stem will fit into the aerotank you just have to push hard til you feel a click. Even then you will have play in the stem. I'm not sure if this is true of the nautilus when used with the provided stem. There are two negatives which are easily correctable by the user. 1. That cap is a pain to take off. Even when not screwed flush. Easily fixable with a dab of superglue and a small bearing placed in one of the cap divots. 2. I found the draw quite "airy" not sure if this is due to the stem still being loose. So I'd recommend grabbing a long stem drip tip from here as well. To see if that solves this issue. I loved my green Kamry K1000. But sadly yesterday it shorted out and caused my battery to vent. The O ring around the connection pin was also torn. I emailed SmokTek yesterday right after it happened and included pictures for proof. TODAY I received a response from SmokTek and a replacement is already on its way!!! Super fast, Super awesome customer service, and great products!!! Even though my first K1000 shorted out, they are still getting 5 stars from me just because their customer service is the fastest I have EVER seen! Hopefully the replacement will last longer than a month though. Q: What wattage is the k1000? We're glad to help here! 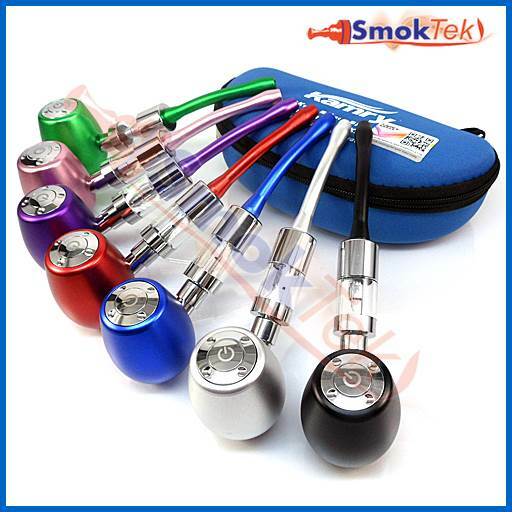 The Kamry K1000 E-Pipe Kit is a fixed-voltage device, so the wattage will depend upon the resistance of the coil head. It comes with a 2.4 ohm coil, and with it, you would be vaping at around 6 watts. It also works great with the Aspire Nautilus (link below). With the 1.6 ohm Nautilus Replacement Coil Head, you would be vaping at 8.5 watts. We do not recommend using sub-ohm tanks or coils with the Kamry K1000 E-Pipe. Q: Do you have replacement tanks for K1000? I just need the tank. Or do you know of any other tanks that work well / look good with the K1000? Please advise, Thanks. We're glad to help! The Aspire Nautilus 5ml Bottom Vertical Coil Tank works great with the Kamry K1000 E-Pipe. I posted the link below. Thank you for reaching out to us! The 18350 battery that comes with the Kamry K1000 E-Pipe Kit takes approximately 1-2 hours to charge. I'm glad to help here. 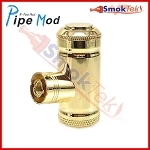 We do not sell the replacement coils for the Kamry K1000 E-Pipe Kit. We attempted to carry the replacement coils, but we were unhappy with the quality, so we discontinued them. We have found the that Aspire Nautilus, 5ml Bottom Vertical Coil, Pyrex (with airflow control) works great with the Kamry K1000 E-Pipe. Below, I'm posting a link to the tank and its replacement coils. Q: how do i buy just the middle clear plastic piece for this modle or what is it called? I'm glad to help here! In regard to replacement tanks for the Kamry K1000, we recommend the Aspire Nautilus, because it fits the stem drip tip that comes with the E-Pipe, and the tank offers high-quality replacement coils, adjustable airflow, and great overall design and quality. I'm posting the link below. We do not carry the tanks that come with the Kamry K1000 E-Pipe separately. Q: I just need the complete tank, with the treaded nut. do you sell this separate? if so how much? Thanks for reaching out to us! At this time, we do not sell the tank or the nut/510-adapter separately. We only have them for sale with the Kamry K1000 E-Pipe Kit. Q: Kamery K1000 color red ? Thank you for reaching out to us! 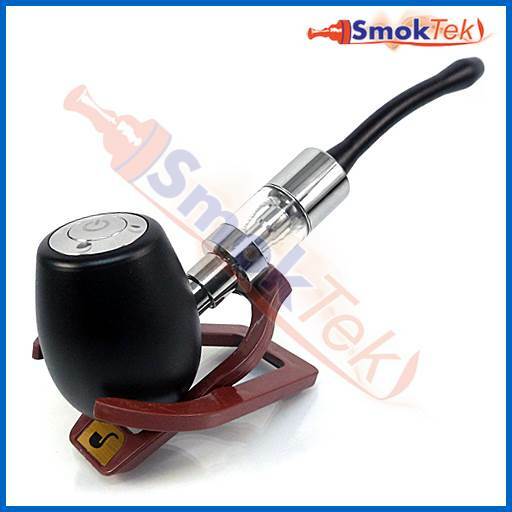 I'm sorry to say that we only have the Kamry K1000 E-Pipe Kit available in Pink. Q: need Black or Silver color ?